Today, enjoy this 1987 birthday card for my mom. 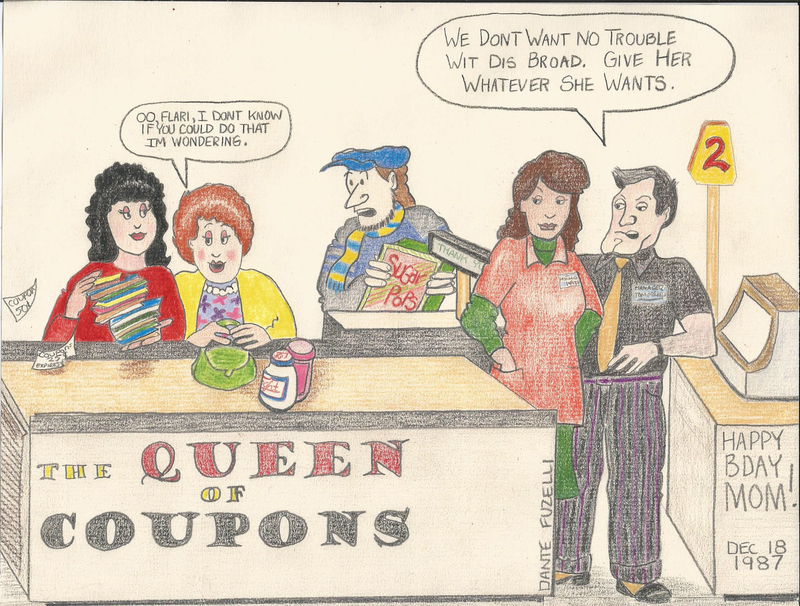 Flory Fuzelli was a well-known bargain shopper and coupon clipper. She was rumored to have given grocery store checkers coupons for things she didn’t even buy, and in those days, you could pull off a scam like that. And in those days, the law firm of Jacoby & Meyers often advertised in LA. So once she was telling me about, “Those people Dante, they came to the house with their religion. You know, the Jacoby and Witnesses”. Click here to see a Gonj and Duby Comic featuring Miss Lena.